Ferrules Stepsafe Stability on Wet And Dry Surfaces. 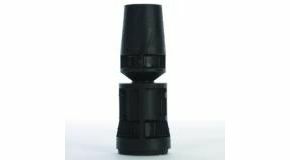 The Stepsafe ferrule is an easy to fit attachment for walking sticks and crutches. Offers superior stability on wet and dry surfaces and when walking on a gradient as the pivoting head ensures that the ferrule always has full contact with the ground. Also proven to reduce jarring on the wrist, elbow and shoulder joints. Product very good. Service very good, fast delivery (next day). But: 1/ I object to be referred to as \'John\', they don\'t even know me. Should use \'Mr\' and surname; only basic politeness. but was sent this reappraisal. Very irritating! An excellent and easy-to-fit replacement for my existing ferrule of this pattern. But doesn't work so well on a wet pavement. Worthwhile getting the replacement discs, because they can wear out at an alarming rate. Rapid service from "Active".